Crambe (Crambe abyssinica Hochst. ex R. E. Fr.) is a cruciferous oil plant that can be grown as a winter or spring crop (Falasca et al., 2010). It has low cultivation costs and can be mechanically harvested (Falasca et al., 2010). Crambe is mainly grown for its oil and oil products that have many industrial applications. It is a source of protein isolates, and is used as an additive to waxes (Ecocrop, 2017). Erucamide, a substance yielded from the oil, is a high value product for the cosmetic industry. 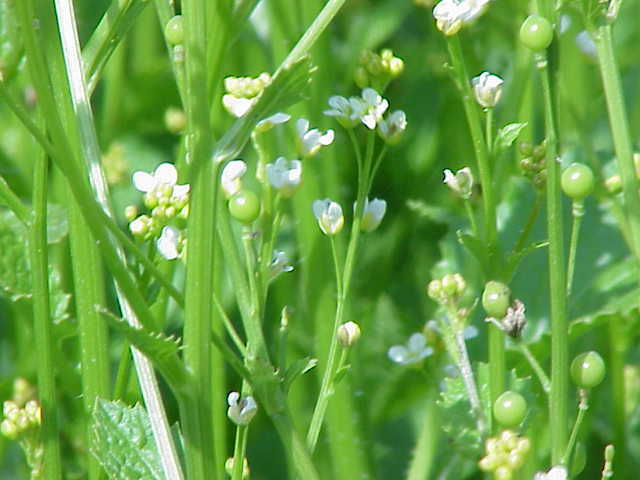 Crambe meal can be used as a protein source for ruminants. However, crambe oil contains glucosinolates and erucic acid, which are potentially toxic and limit the use of crambe products and by-products in monogastric animals. Crambe abyssinica is an erect annual cruciferous species that grows to a height of 0.1-0.9 (-2) m, depending on season and plant density. Crambe is taprooted and its roots go deeper than 15 cm in the soil layer. Crambe branches in the upper half of the plant. It has large pinnately compound leaves becoming smaller upward. The inflorescence is a long racemous panicle bearing small, white or yellow flowers. 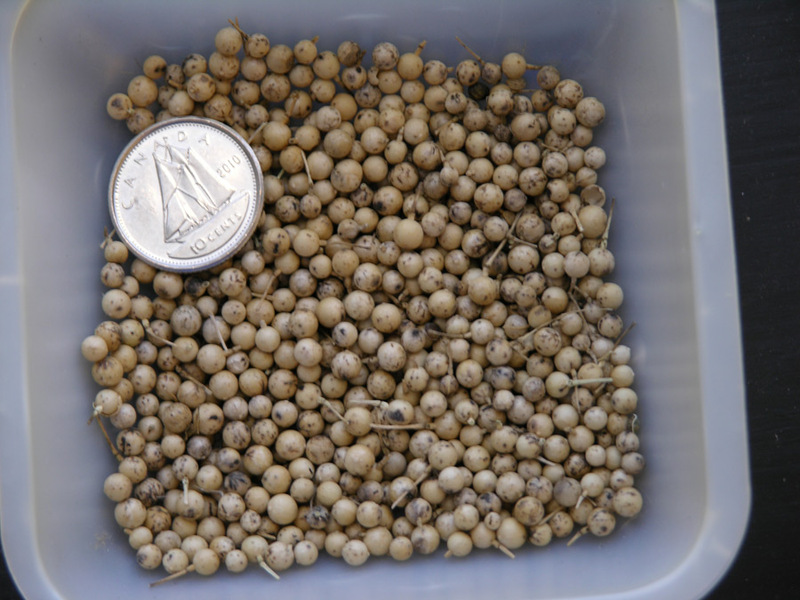 After pollination, crambe develops numerous cylindrical one-seeded capsules about 5 mm in diameter. The seeds are greenish brown in colour, about 0.8-2.6 mm in diameter. Capsules (hulls) remain around the seeds and represent 25-30% of the seed. The weight of 1000 seeds is approximately 6-10 g (Falasca et al., 2010). 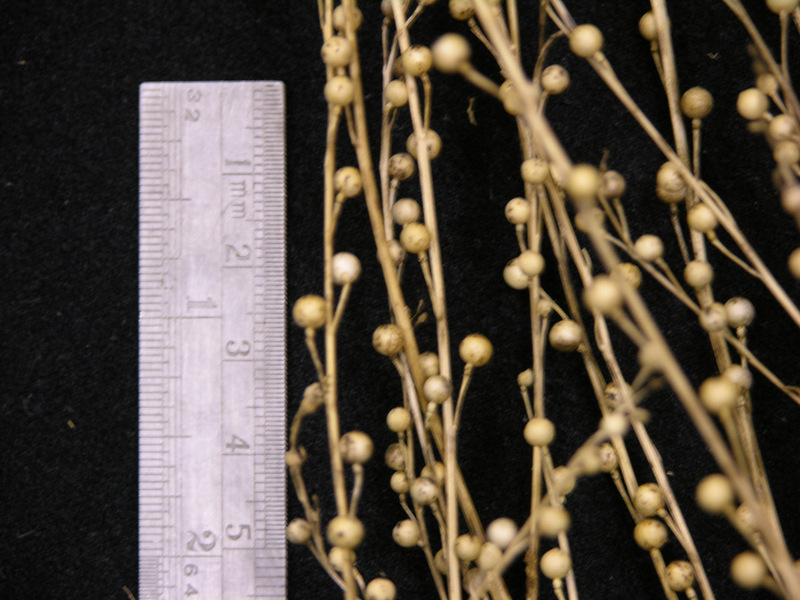 Crambe seeds contain 35.6-42.8% oil (Castelman et al., 1999). Differences in oil content are mainly due to the presence of hulls. In dehulled seeds, oil content may be up to 54% while it is only 25-33% in non dehulled seeds (Ecocrop, 2017). Protein content is about 26% in dehulled seeds. Crambe is a fast growing short season crop which appears to be a better potential domestic crop than rapeseed (Ecocrop, 2017). Its oil can be distinguished from other ones because of its high content of erucic acid (50-60%, C22:1), a long chain fatty acid which has specific industrial uses. In the USA, crambe has been cultivated to replace imported high-erucic rapeseeds from Poland and Canada. Crambe is the cheapest source of erucic acid (Ecocrop, 2017). Oil extracted from crambe seeds can be used as industrial lubricant, as an inhibitor of the corrosion and as an ingredient to manufacture synthetic rubber. It can also be used to produce plastic films, plasticizers, nylon, adhesives and electrical isolation. Erucamide, a substance yielded from the oil is used to prepare cosmetics, besides other industrial uses. Crambe seeds, crambe cake or crambe meal can be used as a protein supplement for livestock. It contains 25-35% protein when siliques are included, and 46-58% when they are removed. Because of its well balanced amino acid composition, a dairy ingestion up to 5% has been approved for cattle ration in the USA (Oplinger et al., 1991). Crambe oil meal is not recommended for pigs and poultry (Ecocrop, 2017). Crambe is used in crop rotations for alleviating weed, pest and disease build-up (Ecocrop, 2017). The oil meal resulting from extraction is also applied as a fertilizer and an insecticide (Oyen, 2007; Peterson et al., 2000). Crambe abyssinica originated from the Mediterranean region, western Asia and eastern Africa (from Ethiopia to Tanzania). As a Mediterranean and tropical highlands species, crambe is well adapted to cold weather during winter (Weiss, 1983). Crambe occurs naturally in Mediterranean Europe, Morocco and the Middle East (Oyen, 2007). Cultivation probably started in the USSR and there are evidence of experiments in Russia, Sweden and Poland after World War II (Mastebroek et al., 1994; Papathanasiou et al., 1966; White et al., 1966; Zimmermann, 1962; Grashchienkov, 1959). Crambe grows between sea level and 2000 m or even up to 2500 m in Kenya. It is cultivated as a spring crop in Europe and as a winter crop in Mediterranean climates (Falasca et al., 2010). Crambe is grown in the USA, in Pakistan, and was assessed for cultivation in China in the 2000s (Wang et al., 2000). Crambe can grow in sites with rainfall in the range of 350 to 1200 mm, but annual rainfall should be about 800-1500 mm for commercial production and best oil production. Crambe has efficient taproot and does not need irrigation. It can survive dry periods, but yield and oil content can be seriously hampered by water scarcity if a dry spell occurs at early stages of maturity or at blooming (Falasca et al., 2010; Castelman et al., 1999). Crambe grows where annual average temperatures are in the range of 5.7°C to 16.2°C. Seedlings are relatively tolerant of frost since they can survive -4°C to -6°C. At later stages of growth frost tolerance is reduced and -1°C can kill the plant (Ecocrop, 2017). Crambe is sensitive to hail but can recover. Crambe grows where soils have a pH range of 5.0 to 7.8 (Duke, 1983). It does not do well on rocky, shallow soils, neither on very wet or waterlogged soils (Duke, 1983). Crambe seeds are moderately tolerant to saline soils during germination within a range of moderate soil temperature of 10°C to 30°C. When soil temperatures decrease below 10°C in saline soils, germination is delayed (Falasca et al., 2010). Crambe cultivation increased in importance due to the high erucic acid content in the oil (Kampf et al., 2001). Crambe seeds are crushed to extract oil. After pressing or extracting the oil, pressed cake or extracted oil meal are obtained, which may be useful as a feedstuff for cattle, and to a very little extent for pigs (Kampf et al., 2001). Crambe seed yields vary widely between 1 and 5 t seeds/ha under varying environmental situations and countries. In Brazil, a production of 1-1.5 t/ha is expected (Falasca et al., 2010). Yields between 1.1-1.6 t/ha were obtained in Russia, and 0.45-2.5 t/ha in the USA, with higher yields in weeded fields (Falasca et al., 2010). In Austria, yields from 0.97 to 3.33 t/ha with an oil content of 23%-38% have been reported (Vollmann et al., 1993). In 1995, in Italy, the genotype ‘‘Mario’’ selected for the central and northern conditions of Italy yielded 2.9 t/ha (Fontana et al., 1998). After a 3-year assay, cv. Mario produced seed yields higher than 4 t/ha (Fila et al., 2002). Yields in irrigated and N-fertilized crambe crops reached up to 5 t/ha (Buchanan et al., 1981). Under different environmental situations in Europe, different cultivars of crambe yielded an average of 2353 kg of seeds/ha or 846 kg of oil containing an average of 57.8% of erucic acid (Falasca et al., 2010). In Europe, it has been considered that crambe cultivation could be developed on a large scale if seed yields were over 1.8 t/ha. Crambe seeds should be sown at a rate of 10-25 kg/ha on a well-prepared, fine and firm seedbed, no deeper than 2 cm (Oyen, 2007). Crambe should be planted in narrow rows to limit weed competition and lessen risk of late season lodging (OMAFRA, 2012). Spring crambe crops reach maturity uniformly and should be harvested 90-100 days after emergence. When fruit maturity occurs, leaves turn yellow and drop. When the last seed-bearing branches have turned straw-coloured, harvest must be done without delay in order to avoid shattering. If maturity does not occur uniformly, swathing may be necessary but it should not be done too early because it could reduce the erucic acid content of the seeds (Oyen, 2007). Decorticated and defatted crambe meal contains nearly 50% protein with an amino acid profile similar to that of rapeseed oilmeal. Crambe meal was low in cell wall constituents and had high energy digestibility for rats and pigs. The seed pericarp was fibrous and poorly digested by cows (Liu et al., 1994a). Crambe oil contains glucosinolates and erucic acid, both potentially toxic to animals. Crambe oil meal contains glucosinolates that make it unpalatable and limit its use as animal feed. It can be made palatable by treatment with ammonia or sodium carbonate, to neutralize the undesirable components, or by heat treatment (Falasca et al., 2010). Glucosinolate contents were found to be 50 or 77 mmol/kg DM in the cake or in the meal (Kampf et al., 2001). They prevent crambe from being fed to non-ruminants. In the digestive system, glucosinolates are enzymatically broken down into active compounds such as isothiocyanate, nitrile, or thiocyanate which can cause damage to liver, kidneys and thyroid glands, and loss of appetite in monogastrics (Falasca et al., 2010). Humid heat treatment before seed processing (for oil extraction) may be a way of inactivating enzymes and thus preventing glucosinolate breakdown into toxic compounds (Falasca et al., 2010). The content of glucosinolates in crambe seeds was higher than in rapeseed, with epi-progoitrin over 95%. Glucosinolates were destroyed by toasting but protein quality was impaired (Liu et al., 1994a). Crambe oil contains up to 56% erucic acid. Erucic acid was proved to have toxic effects on rats and pigs. Erucic acid toxicity was reported when fed at 1500 mg/kg BW/d in rats, and at 900 mg/kg BW/d in nursery pigs. Erucic acid results in myocardial lipidosis (an affection that reduces heart contractions) and in heart lesions. It has been established that the NOEL was 750 mg/kg BW/d in pigs (Food Standards Australia New-Zealand, 2003). Crambe meal has potential for feeding ruminants, and inclusion rates up to 50% have been proposed (Göhl, 1982). However, the presence of antinutritional factors may limit its use. The in vitro DM digestibility of crushed crambe and crambe meal were respectively 62 and 59% in steers. Protein degradability in crambe meal was lower than in crushed crambe, which suggests that crambe meal could be considered a source of rumen undegradable protein in cattle diets (Goes et al., 2017). In a comparison of 5 oilseeds, properly dehulled and defatted crambe meal was reported to have the highest potential degradability. Potential rumen degradabilities of OM for crambe meal and crambe cake were 96 and 73% respectively while it was 85% for rapeseed meal (Liu et al., 1994a). Total tract digestibilities of protein in dairy cows were 98% and 95% for crambe meal and crambe cake, respectively, while it was 92% for rapeseed meal (Liu et al., 1994a). The NEL (net energy for lactation) contents of crambe cake and meal were analysed to be 7.2 or 6.0 MJ NEL/kg DM for cows (Kampf et al., 2001). When included at 30% in concentrates, crambe by-products resulted in a decreased intake of concentrates in dairy cows. Milk yield decreased correspondingly (Kampf et al., 2001). A former study had shown that dairy cows fed ad libitum on grass silage had reduced feed intake and lowered milk yield when crambe meal or crambe pellets were included at 30% of the diet. Crambe pellets had deleterious effects on milk fat level and resulted in 2% erucic acid in milk fat (Kampf et al., 1999). In crossbred steers given different combinations of soybean meal and crambe meal (100:0, 67:33, 33:67, 0:100) in backgrounding or finishing diets, the crambe meal resulted in similar animal performance as soybean meal with no difference in weight gain (overall 1.41 to 1.46 kg/d), no difference on feed conversion effciencies and other average efficiencies and no difference on carcass characteristics (Anderson et al., 1993). Crambe meal/cake is a valuable protein source for ruminants that has been assessed to replace soybean meal in lamb diets in Brazil (Itavo et al., 2016; Canova et al., 2015). Crambe cake with high fat content (29%) replaced soybean meal at 0, 22, 44 and 64% in lamb diets without affecting animal health (Canova et al., 2015). Crambe cake inclusion, however, resulted in a linear decrease of DM, OM, EE, gross energy, ADF, NDF, cellulose digestibilities and of the percentage of total digestible nutrients, which resulted in decreased daily DM intake. Nonetheless, the high fat and protein contents of crambe cake allowed high energy and protein intakes. The high fat content reduced methane emissions in lambs (Canova et al., 2015). In lambs fed on extracted crambe meal containing less than 5% fat at inclusion levels ranging from 6% to 19%, DM intake was reported to increase while digestibility and lambs weights were not affected by crambe meal inclusion. Feed efficiency was thus reduced. Feeding crambe meal had no effect on carcass yield, carcass quality or meat juicyness (Itavo et al., 2016). The inclusion of crambe meal could reduce saturated fatty acis and increase unsaturated fatty acids in lamb meat (Itavo et al., 2016). Crambe meal is not suitable for pigs. The energy contents of pressed cake and extracted oil meal were analysed to be 10.6 or 9.3 MJ ME/kg for pigs (Kampf et al., 2001). Low dietary levels (10%) of crambe cake in pig diets decreased liveweight gain significantly from 782 g/d in controls to 742 g/d in the experimental group (Kampf et al., 2001). Raw crambe meal is toxic to poultry and cannot be used as animal feed (Liu et al., 1993). Several detoxification treatments have been proposed for crambe meal (Carlson et al., 1983). 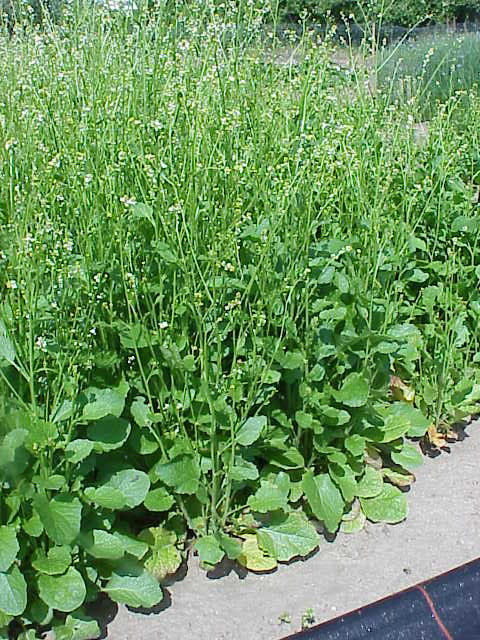 The performance of animals fed detoxified crambe meal is linked to the level of residual glucosinolates and nitriles (Kloss et al., 1994; Kloss et al., 1996). Ammonia and heat treatment improved palatability and limited toxicity, but growth and feed intake were still impaired (Kirk et al., 1966). Soda ash (Na2CO3) treatment also failed to fully restore performance, which remained less than 75% of the control diet (Mustakas et al., 1968). Combination of soda ash, steam cooking and water extraction led to a high reduction of antinutritional factors and satisfactory growth performance, but at the expense of a destruction of 40% of lysine content (Mustakas et al., 1976). Other detoxification experiments were tested, but only the strongest treatments succeeded to restore performance, which was anyway degraded at inclusion levels above 10% (Kloss et al., 1994; Ledoux et al., 1999). No information on the use of Crambe abyssinica meal in rabbit feeding seems available in the international literature (February 2017). Since crambe oil meal, once detoxified, can be used to feed ruminants, pigs or chickens (Mustakas et al., 1976; Liu et al., 1994b; Steg et al., 1994), it could be considered as a potential source of protein for rabbit feeding. However, some direct preliminary experiments are necessary before commercial use. Crambe protein has a high lysine content (about 105% of the rabbit requirements) and is rich in sulphur-containing amino acids (115% of requirements). The presence of glucosinolates should not be an issue since rabbits are resistant to glucosinolates present in rapeseed meal (Lebas et al., 1977) or mustard meal (Tripathi et al., 2008). Food Standards Australia New-Zealand, 2003. Erucic acid in food: A toxicological review and risk assessment. Technicl Report Series N°21, Food standards Australia New-Zealand.